7 Days to Wake-Up / C.R. Finding JOY, HEALTH and HAPPINESS forever and ever...! Join Dr. Edwin Riley, Ph.D. for the ULTIMATE “Stress Reduction Vacation” of your Life in Tepoztlan, Mexico. 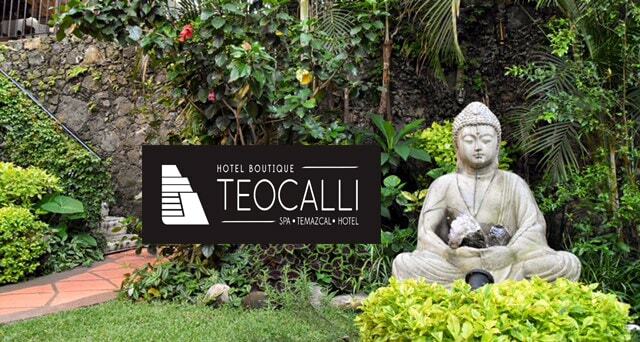 Special Low Price of $1,199 for single room / $999 double occupancy at boutique Hotel Teocalli. Price includes meals, guided tours, in-country transportation, entertainment, adventures, etc. Located just blocks away from the zocalo (downtown center), Teocalli (www.hotelteocalli.com) offers the peace and quiet distinctive in this magical village and an unparalleled view of the mystical mountains. Welcome to an exclusive “Stress Reduction Vacation,” a fun-filled program designed for optimal stress reduction and healing potential with an emphasis on Mexican culture, environment, centuries proven wisdom and ceremony. 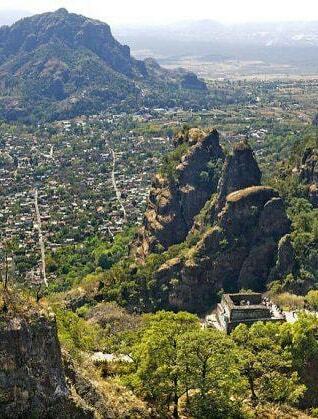 Tepoztlan, a mystical tropical mountain village at 5,400 feet known as the most powerful vibrational spot on the planet, is like stepping back in time with its cobblestone streets, native artisans and absence of franchise stores, restaurants or hotels. This is REAL Mexico, safe and unpretentious. Carlos Castenada came here to write influenced by the energy. Boasts a mild climate all year round. 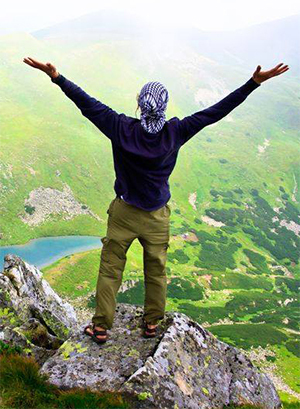 Specially guided adventures focusing on culture, food, music, and joyful living. Daily meditation and healing qigong instruction. Like stepping back in time hundreds of years, visit the village of Tlayacapan known for its pottery and native artworks. Culminate your “Stress Reduction Vacation” with a night of salsa dancing at El Talon. Activities listed are subject to change at the discretion of the program director. Reserve your room NOW!!! Limited to 20 participants. * Price does not include airfare or transportation from Mexico City to Hotel Teocalli or alcoholic beverages. We can assist with your travel arrangements. Leave your stress behind. LITERALLY. What makes this "Stress Reduction Vacation" different from just any stress reduction program is that we offer permanent change from old patterns and behaviors that cause stress. Our specially designed program puts the body back in balance through healing chi kung; equalizes thoughts and reality with meditation practice that goes to the core of what "real meditation" does for mind, body and spirit. We travel to high energy locations of Mayan ancestors and actually connect with the spiritual energy through ceremony. More than just a cultural happening, you will actually have a personal cleansing in the magical waters of Las Estacas. Joining nature's forces with dance, song and music, your true self will become actualized, opening to natural bio-rhythms found in nature. The ceremonial Temazcal returning to the womb of Mother Earth renews life itself while cleansing both body and soul of long held toxins. Every experience then becomes an awakening and through awareness stress dissipates and vanishes. Life is renewed so when you return home and resume everyday routines, there is no place for stress to reside. Truly a transformational week that is forever, your "Stress Reduction Vacation" will last a lifetime. © 2019 Dr. Edwin Riley. All Rights Reserved.